Cimarron Firearms, a leader in authentic replicas from America’s Old West, proudly reintroduces one of America’s most popular and famous lever-action hunting rifles of all times. 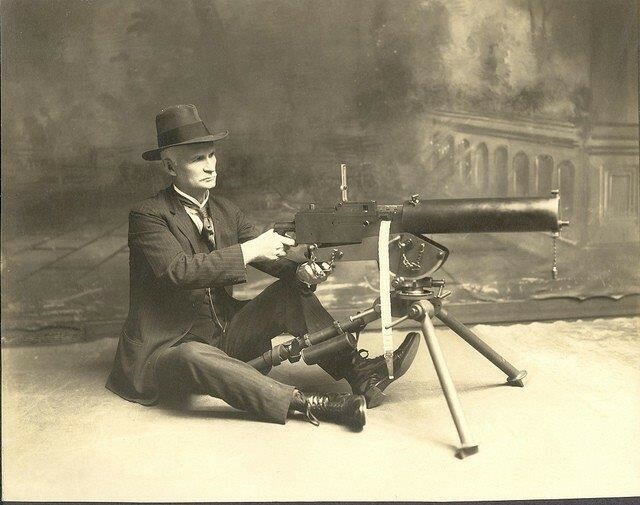 The John Browning patented design was introduced in 1894 in two iconic cartridge chamberings, the 32-40 and the 38-55. It was the first American-made repeating rifle to chamber smokeless powder rounds. This was in 1895 when nickel steel barrels and the 30 WCF or 30-30 were introduced. The Model 1894 has been referred to as the “ultimate lever-action design” by firearms historians. More than 7,000,000 Model 1894 rifles and carbines were sold between 1894 and 2006. The rifle’s sleek and simple design made it easy to mass produce while the well-balanced light weight made it a pleasure to carry. The 1894 was owned by several U.S. Presidents and was used by the military in WW l. There is no question that the 1894 rifle was the choice of American hunters and was also used by peace officers throughout America. Cimarron does it again. Working with the skillful gunmakers at Uberti in Italy, Cimarron brings you not only the 1894 carbine, but the gorgeous 26-inch octagon barreled, case-hardened 1894 rifle that was discontinued in the mid 1930’s. Much of America was still mounted on horseback, making the shorter carbine model, the 1894, the model of choice. Because of this and the introduction of other great hunting rifles, Winchester chose to discontinue the sleek and handsome longer barreled, ballistically superior 1894 rifles. Today, a good, used original 1894 carbine may cost you $1,000.00, but the sleek original 1894 rifle with case hardened frame will set you back $3,000 to $4,000, or more. Cimarron is introducing both rifle and carbine models in 30 WCF and 38-55 with the 32-40 WCF and 25-35 WCF coming mid-year. Carbines will be available with blued or case-hardened frames while all the rifle frames will be case hardened. All stocks are fine walnut and expertly fitted to the barrel and frame. Ask your favorite gun shop to check the 1894 Cimarron rifles and carbines out. They will not be disappointed. The Cimarron Model 1894 20” Carbine is available now in 30 WCF and 38-55 WCF. MSRP $1,246.70. The Model 1894 26” Octagon Barreled Rifle with case hardened frame is available in the same chamberings at MSRP $1,353.30.